Schuylkill Scrub is a wildly successful cleanup. Can it work for Delaware River in South Jersey? Trash along banks of Delaware River during the 2018 South Jersey Scrub. The Schuylkill Scrub has blossomed into a wildly successful cleanup of dirty riverbanks from Schuylkill County to Philadelphia, with 20,000 volunteers expected this year to take part in 800 individual cleanup projects. But can that success be replicated in South Jersey, which suffers the same trash blight in communities along the Delaware River and within its watershed? Starting this weekend, hundreds of folks will try. The Schuylkill Scrub, an annual event that started in 2009, is already underway this year, having started March 1 and continuing through May 31. It is run by the Schuylkill Action Network, a group of 100 partners coordinated by the nonprofit Partnership for the Delaware Estuary. The event inspired a similar cleanup that began last year in South Jersey, albeit on a smaller scale and with limited reach in Cumberland and Salem Counties. On Saturday, the South Jersey Scrub will take on a much wider swatch from Cape May to above Trenton. “Last year was our first year trying to get things up and running without any funding,” said Brittany Musolino with the Partnership for the Delaware Estuary. "The mission is to prevent trash from reaching the Delaware River and Bay. We’re strategically placing different cleanups throughout the area to get a lot of partners involved and have people take pride in their communities. " Musolino said there are seven cleanups Saturday and folks can sign up through the website. Kickoff is in Camden, but there are an additional 18 planned cleanup locations through April 14. Organizers hope that grows yearly to control pollution within the Delaware River watershed. The Schuylkill flows into the Delaware and so is part of its watershed, defined as all the land that drains into the Delaware. So it’s natural, Musolino said, that cleanups should follow in South Jersey. About 15 million people get their drinking water from the Delaware River, either through municipal or private water companies. The river feeds the Delaware Estuary, the part of the river that stretches from the falls in Trenton to Cape May Point, before emptying into the Atlantic Ocean. Litter from all over the 12,800-square-mile watershed in New York, Pennsylvania, New Jersey, and Delaware can ultimately get washed into the river during storms and can hurt and even kill wildlife, along with polluting the water. Musolino estimates the scrub could draw 500 volunteers over the course of the week. 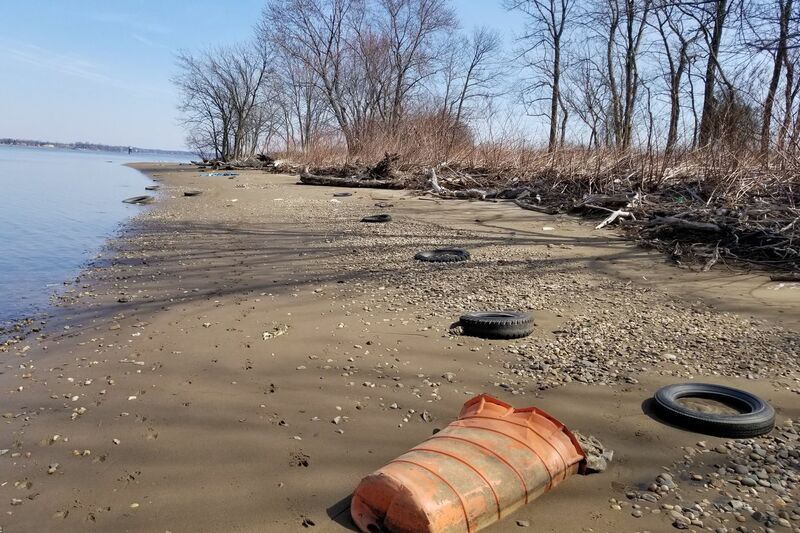 In addition, the New Jersey Department of Environmental Protection has pledged to send up to 200 employees to pick up trash throughout South Jersey on April 10, Musolino said. DEP Commissioner Catherine R. McCabe will appear at the scrub’s kickoff at 10 a.m. Saturday at the newly opened Gateway Park along the Cooper River, itself a tributary of the Delaware River. Volunteers can register their own community cleanups at www.SJScrub.org or sign up for existing cleanups by clicking the “Join a Cleanup” link on the site. The scrub organizers will collect data on the type of items picked up.